Come out to Game Point for a Draft and a Draft – last run at Ravnica Allegiance before the new set releases! 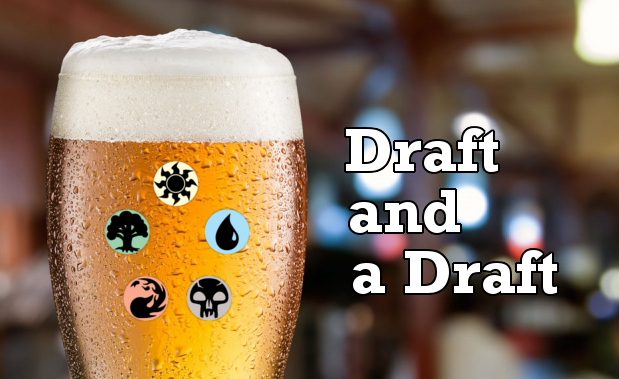 We start off with a Magic the Gathering booster draft, then add on to that a beer from one of the many craft beers we have on tap (or a Kombucha or Nitro Coffee or . . . we have options). Top that off with three rounds of Swiss with the deck you drafted, each win getting you a bonus pack. It all adds up to a fun, fun night. $20 (tax incl.) gets you the cards for the draft, any prize packs, and a draft beer (or alternative drink). This event is 21 years and up. We start registering people at 6:30 and aim to get started as soon as we can, but come out a little early for casual pick up games while you wait!